My mother isn’t crazy about her profile, but I don’t mind mine — it reminds me of her. It happened at the hairdresser’s. I sat cloaked in a black smock, hair wet and combed back, gazing at my face in the mirror under fluorescent lights while waiting for the owner to begin. What’s going on under my chin? Squinting, I craned my neck to move closer to the glass and raised my head a little to study what I saw. My mom’s face looked back at me, wattle and all. I never thought of Mom as vulnerable. Yet every now and then, when she was dressing up for some special event, she would turn to me and ask, “How do I look?” Then I would remember she was human, too, not just the rock I loved and leaned on and assumed would always be there. “What’s a wattle?” I asked. “Oh, this damn saggy skin under my chin, like a turkey neck,” she answered, though she has never been one to swear. “It’s all part of aging.” She had warned me of my destiny without my quite realizing it. Mom is 89 now. She and Dad, 92, still live independently in an apartment in Buffalo, my hometown. I don’t see them as much as I’d like, but we talk on the phone frequently — and we text, because Mom recently bought her first smartphone. Sometimes she even FaceTimes me, though most often that occurs by accident as she gets to know her new device. My parents’ longevity is a gift, not only for the obvious reasons of letting us enjoy one another longer, but also for shielding me from my own mortality . . . except in the hairdresser’s mirror. I find that quote running through my head as my own children reach adulthood and launch more independent lives. I want nothing more than to have them settle nearby, to stay engaged in one another’s daily goings-on, to turn to each other occasionally and ask, “How do I look?” Yet I know that Mom was right. Isn’t she always? We might change towns, change names, even change religions, but we never shed our skin, our genetics, our origin story. Our parents and our youth lay the foundation for who we are, not just through lessons taught (“do unto others,” “everything in moderation”) but through subtle, subconscious streams. 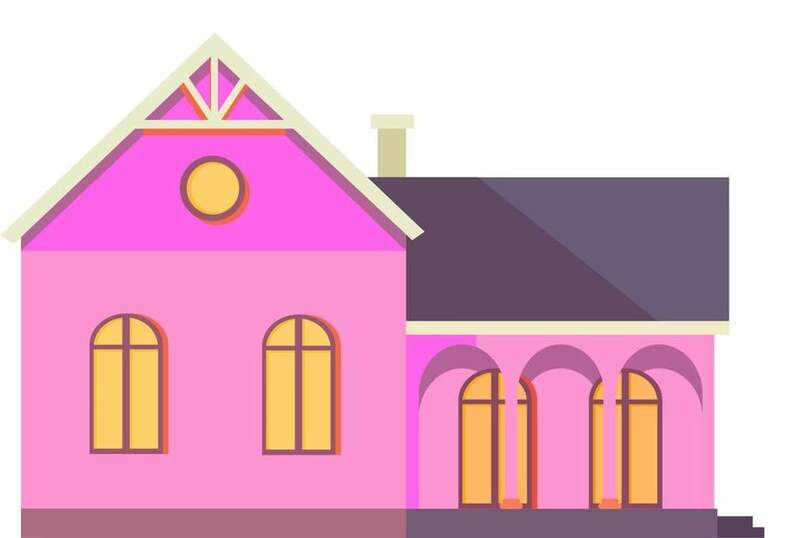 Is it coincidence that in my new town I set my sights on a house painted pink, and pounced on it as soon as it came on the market? Is it coincidence that my husband, who lost his own mother to cancer when he was young, has devoted his career to cancer research, fretfully aware of dying all his adult life? My hairdresser began, and I closed my eyes. When I opened them, I smiled. My face still looked like Mom’s. Back home, I researched exercises to reduce the wattle: look up and kiss the ceiling; look left and make chewing motions, then look right and repeat; press your fist under the wattle and tense that muscle for a count of 10. I’m not sure if this will do the trick, but I do know what will make me feel better. Gratefully, I reach for the phone. Jean Letai is a freelance writer in Medfield. Send comments to connections@globe.com.